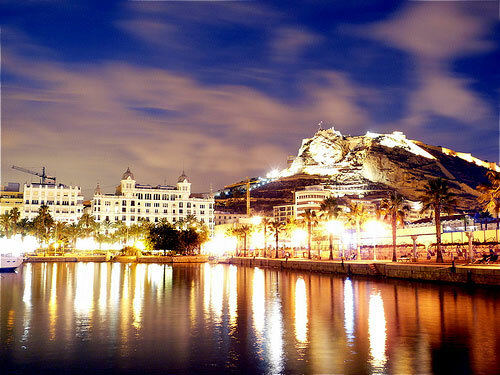 Alicante is situated on the part of the mediterranean coast known as the Costa Blanca or White Coast. The municipality has two clearly differentiated types of landscapes, with mountains and cliffs in the north and large beaches and palm trees in the south. In Alicante can be found areas for each liking, from buzzing cosmopolitan life to peaceful charming rural areas. 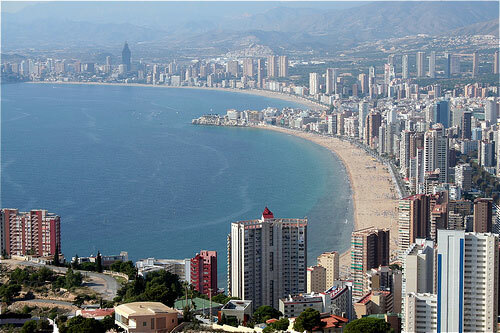 The Weather in Alicante is generally mild throughout the year, with an annual average of 17ºC. The rainfall tends to be more copious in the northern mountain ranges than in the southern lowlands around Elche and Orihuela. The landscape of Costa Blanca around Alicante offers the visitor a typical mediterranean countryside with orchards, vineyards and almond trees on stepped terraces, which, combined with African palm trees, are remains of the county´s Moorish past. The history of Costa Blanca is alike to other places along the mediterranean coast, with Iberians, Phoenicians and Greeks founding ports and merchant cities. Afterwards the region belonged to Rome and later to the Visigoths and from the 8th century onwards it was part of the rich region of Al-Andalus. From the 14th century onwards, the Christian epoch in this area was marked by battles between the Crowns of Aragon and Castile disputing their borders: For that reason we can find nowadays two languages present in the area, Castilian and Catalan. From the 16th century onwards the mediterranean coastline suffered continuous attacks from pirates. King Felipe III proclaimed the expulsion of the Moriscos (Muslims converted to Christianity) who were suspected of collaborating with the Berber Pirates. The Moriscos who had lived since many centuries in the area, organized several upheavals in response to the severe repressions suffered under Christian rule. After the revolts were crushed, the lands were left practically abandoned and without their expert farmers. During the 18th and the 19th century Denia and Alicante became important seaport cities; meanwhile the rest of the littoral was comprised of small fishing villages which remained relatively unaffected by the wars. In the last decades, the consolidation of the railway system, motorways and the Alicante Airport has changed the landscape and has help to develop a well cultivated offer of tourist attractions, leisure harbors, hotels and leisure time installations, as for instance in Benidorm, a symbol of the Costa Blanca.